Suzanne Collins’ series The Hunger Games is a thrilling, widely-read trio of books. Therefore, when it became known that directors were making these captivating books into movies, the die-hard fans had the usual worries – what if the movies weren’t as good as the books? What if they chose the wrong actors? Although both movies so far, The Hunger Games and Catching Fire, have done very well in the box office, the latter was superior. 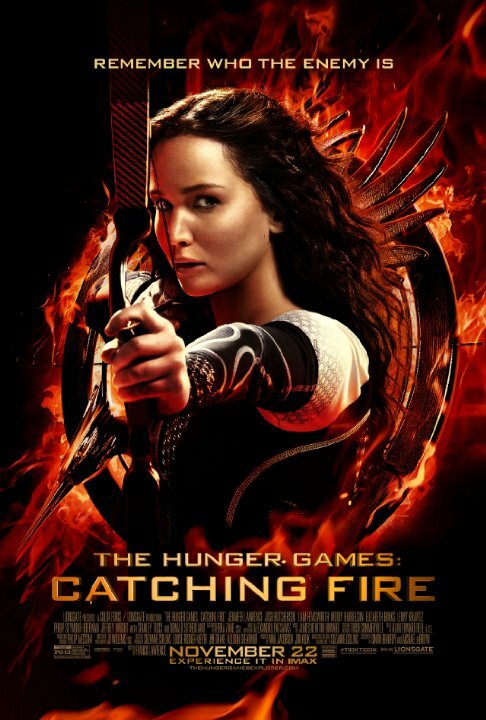 With a different director from the first one, Catching Fire follows the book’s plot very closely, and most fans, including myself, enjoyed it thoroughly. In the movie adaptation of the first book in the series, there were small but key parts that were not put into the film. Non-readers would not notice, so the movie was fine, but many people, such as myself, who had read the books were angry. For this reason, I was afraid that the movie adaptation of Catching Fire would be lacking some of the important plot points. I shouldn’t have worried; every small scene and every major scene from the book was integrated into the movie. Some of the movie scenes even stole exact lines directly from the book, which was a pleasant surprise. The action-packed and emotional movie left everyone speechless-even the grumbling parents who were dragged into the theater by their kids. Whoever did the casting for these movies was spot on – not only were the main characters perfect, but all of the secondary characters as well. Josh Hutcherson was surprisingly one of the best actors, portraying every characteristic of Peeta flawlessly. Jennifer Lawrence was excellent as usual, funny when she was supposed to be and encompassing all the traits of Katniss Everdeen easily. As always, Woody Harrelson as Haymitch was brilliant, sarcastic yet caring at all the right moments. The actress who played Johanna Mason, Jena Malone, turned out to be one of my favorites. The entire cast was seamless and exactly as I pictured them when I read the book. The exhilarating ending left the audience- including the parents who kept checking their phones at the beginning of the movie- desperately wanting more. Catching Fire was a stunning addition to the Hunger Games movie series, and it made many people very excited for Mockingjay Part 1. I know I’ll be counting down the days to see it.